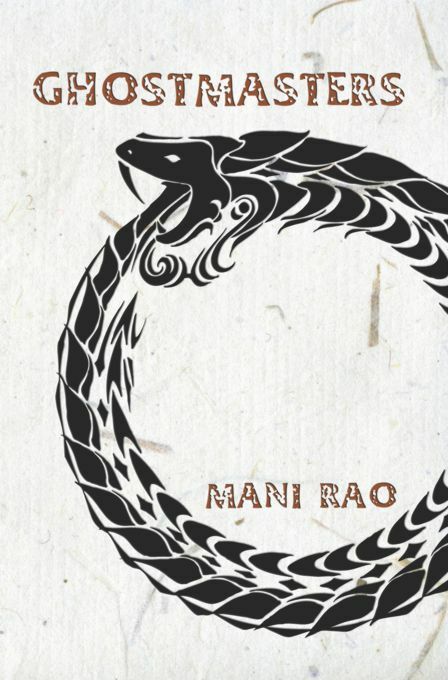 Mani Rao is the author of eight books of poetry, two books in translation, and a New & Selected Poems forthcoming from Poetrywala India. She has essays and poems in numerous journals including Wasafiri, Meanjin, Washington Square, Fulcrum and West Coast Line and in anthologies from W.W. Norton, Bloodaxe and Penguin. 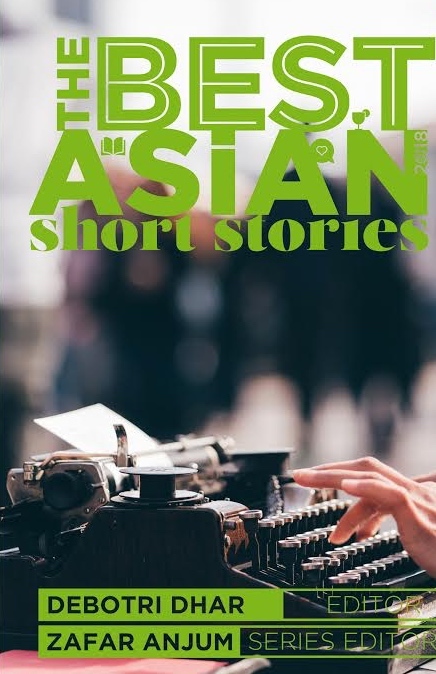 Mani has performed at literary festivals in Melbourne, Vancouver, Hong Kong, Singapore, Chicago and New York PEN World Voices, and translations of her poems have been published in Latin, Italian, Korean, Chinese, Arabic, French and German. She was Visiting Fellow at the 2005 Iowa International Writing Program, and the 2006 University of Iowa International Programs writer-in-residence. 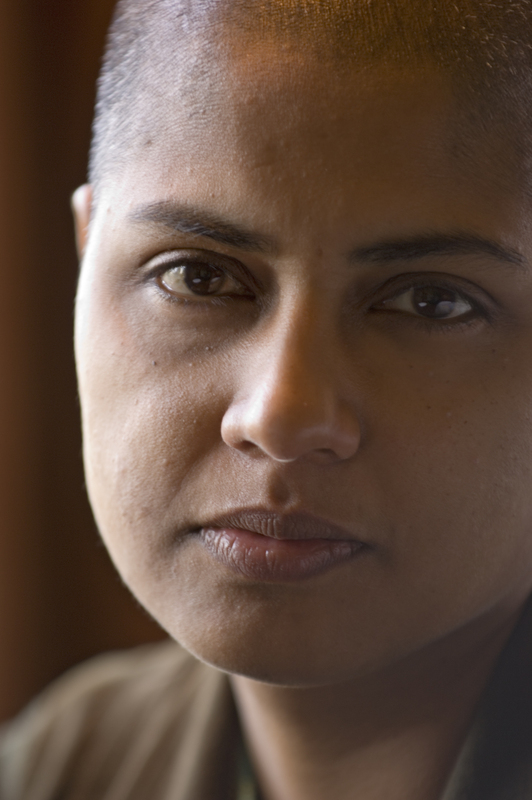 She has an MFA in Creative Writing (Poetry) and is a PhD candidate at Duke University. 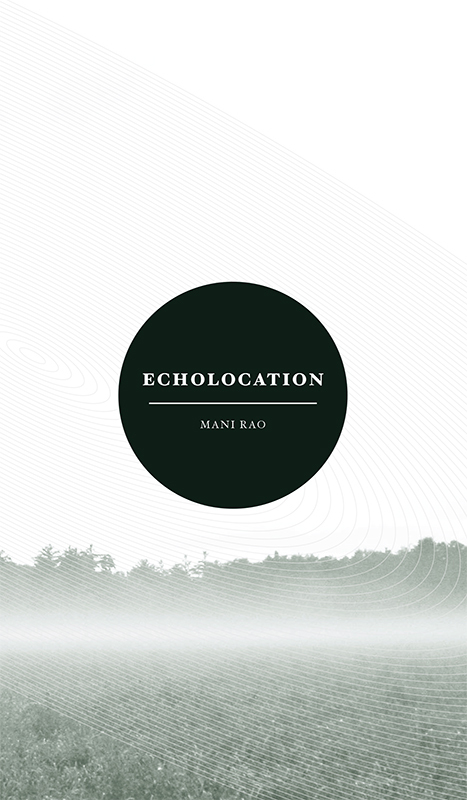 http://www.manirao.com has links to her work. You have an interesting name. Mani can also be read as Ma’Ni, which means ‘meaning’ in Urdu. Tell us a little bit about your name, your origins and how you came to live in Hong Kong. In Sanskrit and related languages, ‘Mani’ means ‘gem.’ Mani is actually a part of my name ‘Nagamani,’ which means ‘snake-gem,’ or ‘the gem on the hood of a cobra.’ It comes from a dream my mother had when she was pregnant with me. I was born in 1965, raised in India. At the time, our school only had the sciences, no humanities. Dad worked in atomic power project colonies, cosmopolitan spaces with a concentration of engineers and scientists — not unlike J.G.Ballardian locations. I had been writing since my early teen years, and was desperate to get into literature, so I went on to do a B.A. in English. Writing was my only marketable skill. I had two obvious career options—journalism, and advertising. Convinced that financial self-reliance was the most important thing for a woman in India, and expecting that advertising would be more lucrative than journalism, allow me to gain my independence faster, I joined advertising as a copywriter. After some detour, I landed in Mumbai as a copywriter, working in Trikaya (now Grey) and then, by 1992, I was associate creative director at HTA (now JWT). In the early 90s, the Indian economy was opening up to multinationals, and suddenly, one began to dream of bigger budgets and international markets. A couple of my colleagues were the pioneers, they sent telexes to ad agencies in Hong Kong, set up interviews, went there with their portfolios and found jobs! Urged by their success, I too went ‘shopping’ in 1990, to Singapore and Hong Kong, with my ad portfolio. I did not succeed right away, the gulf war was imminent, no one was hiring. Eventually – and that is another story – I moved to Hong Kong in 1993. How did a full-time media professional become a full-time poet? It’s a long story. I was working at Star TV since 1995. I looked after off-air creative, and then marketing and corporate communications, csr, and so on. I was a part of the senior management team, reporting to the ceo. It was challenging, high-energy, and I was very driven. But, I was at the edge in my own life. By the end of 2003, everything went bust. Identity, marriage, work life. Best thing that could have happened to me. I began to question my life earnestly and turned to Indian spiritual texts. I began to refresh my Sanskrit. I had also found my guru, whose teaching made me think about my profession and my life, how it did not match up to ideals of truth and courage. My writing became more conscious. A 20-year career fell away just like that, crumbled. I quit in April 2004. I brought my possessions down to two suitcases, one winter, one summer, and one laptop. I reduced my needs. I lived off my savings. I wandered for a few years, writing, meditating, this is when I discovered much about myself. Then I decided to get an MFA as it would qualify me to teach poetry, should I need to earn a consistent livelihood later. I also became equipped to teach translation. Anyhow, studying early Indian thought, and finding a keen interest in Indian language philosophy, I needed guidance, the methodology of scholarship, so I applied and got into a PhD program in Religious Studies. My dissertation research is on mantras. What does poetry mean to you? And how do you connect with it? In solitude, in writing or in performance? The process of writing makes me aware of my self, of how I see the world. Poetry for me is an intense form of writing. Performance feels silly, but I like to give voice to my poetry, express how I mean it. I believe there is more clarity when a reader and a poem interact, uncluttered by the person of the poet. Reading is also sound, sounded in the mind. Your new book is ‘Kalidasa for the 21st century Reader.’ How did the idea for this book come to you? It came from Aleph Books. David Davidar approached me with two projects, one of which was to translate Kalidasa. I could not turn it down— I had always wanted to translate Kalidasa, and for years, thought it necessary. I asked, could I think it over for a month? An exact month later, another email from David. Had I thought about it? I had not put a single word to paper. I was a little unsure. 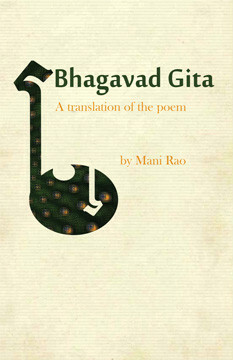 Translating the Gita had been part of a direction I thought I was headed in, of a deepening spiritual practice. And now, Kalidasa? Loaded with shringara rasa, and the ultimate in Eros! Would a close and sustained encounter with Kalidasa work against my progress? But that was just unnecessary intellectualization. Because, in fact, I relished Kalidasa. I felt Kalidasa’s poetry had immense depth, like a symphony… the more you listen, the more detail you hear, discover. As a poet, as an Indian, and as a student of Sanskrit, I could not think of any other literature with which I wanted to be more engaged. I decided in favor of Kalidasa. And my path to the spiritual was also through language, poetry, reality. That weekend, I tried my hand at translating Kalidasa, and put together a three-page proposal. My sample was a few stanzas—the opening stanza from Kumarasambhavam, a few stanzas from Raghuvamsham and a few stanzas from Meghadutam. I compared my translation with previous translations, explained what I believed was missing in previous translations, and how my technique filled the gap. I proposed only the poems. David responded immediately. He said he loved it, but we must do all of Shakuntalam, and all of Meghadutam. We could include substantial excerpts from the other works. How long would I take? One year, I said. That was December 2012. From that day onwards, I was translating daily. Eventually, I took two extra months, for I had my PhD preliminary exams in Nov 2013, and just could not keep up my daily translating routine the couple of months before that. 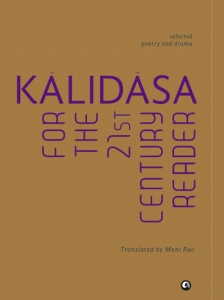 It was only when I saw the proofs that I knew it was called Kalidasa for the 21st Century Reader. Such brilliant marketing and positioning, so apt for the concept I proposed. Why did you think this translation necessary? he stands, a rod taking the Earth’s whole measure. English language will carry Anglo-western culture, but you can still choose whether to say ‘tavern,’ ‘bar’ or ‘pub.’ Each of these options locates the events in a different setting. In Chandra Rajan’s translation, the characters go to a “tavern” … the event seems located in medieval England … in my translation, they go to a bar (smile). But this book is not only about contemporizing the text. I felt the task called for a combination of translation and critical appreciation. So my translation includes commentarial input in the form of interpolations. Sometimes appreciation is embedded in translation decisions, such as word choices. I also include insights from commentaries, so the entire text is accessible as well as complete, the reader does not have to look up other references. Thirdly, the effort is also about connecting with ourselves. I suspect more English-language readers in India have read Shakespeare and Tennyson and T. S. Eliot than Kalidasa. Foreign literature is valuable, but it is an abstract world that does not nourish our roots. We appreciate the London fog in Eliot and the black tips of ash-buds in March in Tennyson without connecting it to our memories and experience. By contrast, Kalidasa’s world resonates with us deeply. He describes cranes in formation as garlands on a door frame without a post … this is an image we instantly recognize in Indian surroundings, and this helps us rediscover the poetry of our own context, helps us real-ize our own context beautifully. Every Indian must read Kalidasa. How difficult was it to translate Sanskrit poetry for a modern readership? Are there any peculiarities of Sanskrit poetry that you would like to highlight? I find that modern poetics with its syntactic and spatial freedoms is ideal to translate Sanskrit poetry. In Sanskrit poetry, words are compounded and work in clusters, and nouns have case-endings, so word order is flexible. Typically, in traditional English poetry, we compose full sentences with words in fixed order, using prepositions and conjunctions to make sense of relationships. So if you take a nice, condensed stanza from Sanskrit and unpack it into the structure of traditional English poetry, it will seem verbose. 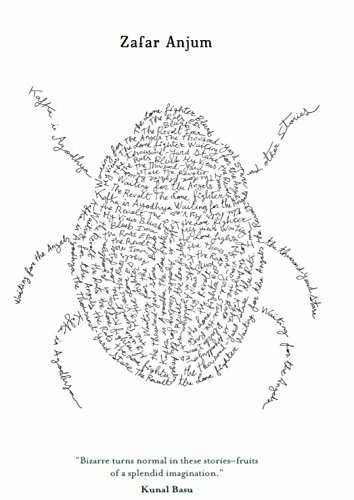 And when non-poet scholars/translators try to translate into poetry, they tend to just chop up long lines into shorter sections so that it looks like poetry on a page, it does not sound like poetry.. In the original, the snake image shows up twice, once obvious, and the second time concealed—bhujaṅgavat (snake-like), and in the verb for motion, prasarpitam, which reminds us of a snake again. I’ve indicated this by using the word twice in my translation. My spatial arrangement lets you understand the overall framework immediately—‘Fresh rainwater snakes downwards.’ This is also the first thing you gather when you read the verse in Sanskrit, it is called finding the ‘prose-order,’ or anvaya, which helps group the rest of the words around the main clause. I’m interested in form. 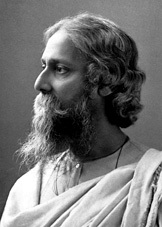 In many translations, you will notice how the rhythm of all the poems is similar… Meghadutam, Kumarasambhavam, Raghuvamsham… In my book, each of these has a different pace. This is because it is a response to the Sanskrit form also, not just the meaning.